Will Pep Guardiola's Manchester City or Maurizio Sarri's Chelsea come out on top in the EFL Cup final? It's the EFL Cup final at Wembley between Chelsea and Manchester City. Opta presents the statistical analysis. "No team has had more scorers in this season’s League Cup than Manchester City (8, level with Norwich City and West Ham)." A Manchester City win and over 2.5 goals is [2.4]. This is the first League Cup meeting between Chelsea and Manchester City since the third round in 1993-94, when Brian Horton's City side won 1-0 at Maine Road with a goal from David White. A Manchester City win is [1.6]. Excluding Community Shield matches, Chelsea and Manchester City have only met in the final of a competition on one previous occasion - the 1985-86 Full Members Cup final at Wembley, a 5-4 victory for Chelsea, which remains the highest scoring final in Wembley history. Chelsea are [5.9] to claim victory. Manchester City, 2018 winners of the League Cup against Arsenal, are looking to become only the fourth team to retain the trophy in consecutive years, after Man Utd (2009 and 2010), Liverpool (four years between 1981 and 1984) and Nottingham Forest (1978 and 1979 & 1989 and 1990). They are [2.5] to win half-time/full-time. 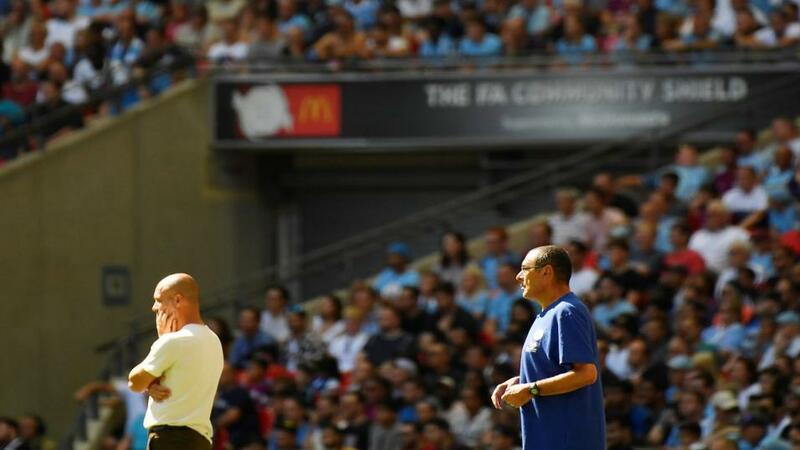 Chelsea have already lost three times at Wembley this season, losing in the Community Shield against Manchester City and in the Premier League and League Cup semi-final against Spurs. The draw half-time/Manchester City full-time double result is [4.7]. Manchester City striker Gabriel Jesus has scored more goals than any other player in this season's League Cup (5). Jesus is [2.5] to score. Since the start of the 2012-13 season, no player has been involved in more League Cup goals for a Premier League side than Chelsea's Eden Hazard (14 - 8 goals, 6 assists). Hazard is [4.1] to add to his goal tally. Sergio Aguero has scored 13 goals in 16 appearances in all competitions against Chelsea for Manchester City, only scoring more often against Newcastle United for the Citizens (15). Aguero is [2.12] to find the net. Only three players have scored more goals for a top-flight club against an opponent at Wembley than Manchester City striker Sergio Aguero has against Chelsea (3) - Harry Kane against Southampton and Eric Cantona against Liverpool (4 goals) and Ian Rush against Everton (5 goals). Aguero is [4.6] to score the first goal. Chelsea manager Maurizio Sarri could become the second Italian to win the League Cup, after Gianluca Vialli who won the trophy with the Blues in 1998. The Blues are [4.6] Draw No Bet. No team has had more scorers in this season's League Cup than Manchester City (8, level with Norwich City and West Ham). A Manchester City win and over 2.5 goals is [2.4].